Be it ‘Mooka kavi’ – a speech impaired person from birth. He was regularly visiting ‘Kamakshi’ temple and was prostrating before the goddess. One day He saw the lips of the goddess and after that he started to speak and wrote ‘Mooka Pancha Sati’. This ‘mooka kavi’ later became one of the Acharyas of the Kanchi Kamakoti Peetam. Maha Periyava and His Divine Interventions is neither less intriguing nor less astonishing! – Holiday Season in USA (Dec 25 – Jan 1) when most of the operations are dormant.. Yet, Mr.Prakash calls on the leading manufacturing companies of Portable CT Scan machine and surprisingly gets call from the CEO’s of the companies directly within 24 hours, he then calls the White House and within minutes gets a call back from the Army General… How is this even possible? Guru Kataksham … Guru Kataksham and nothing more! Guru is an infinite ocean of mercy, that His Kripa showers upon all seekers whether they are worthy or unworthy, whether they are qualified or not !!! “Guru Kripa” is a blissful factor that will enable the aspirants to seek and to attain Jnana. Whether the disciple does sadhana or not, whether one is deserving or undeserving, “Guru Kripa” sets aside all normal laws that operate in the spiritual plane and takes one to transcendental bliss. What does it matter if a man is important in many ways? Of what use is it if his mind is not bound to the lotus feet of his Guru? Let us all surrender ourselves to His Holy Feet and yearn for our Guru’s Kripai to be “instrumental” in His divine acts !!! Billions and billions of Sashtang Namaskar at the Lotus Feet of His Holiness Paramacharya. i have not met any of the persons mentioned above but have heard the voice of one person who as you rightly said brought Maha Periavaaa ‘ to millions of people Sivaraman Sir with his unforgettable Devotees Experiences I dont think i have missed any… whenever i get a new post i always open it with a hope that Sivaram,an Sir voice could be heard…Hoping to hear many many episodes through HIM. Once they receive the grace… well. Are they ordinary anymore? Anantha Koti NamaskArams…to those devotees & their Periyava! A. graceful, tender heart that showed his grace not only to literates devotees, also to illiterates like KURAVARS whom gained the grace. Sakshath Parameswaran, in human body. 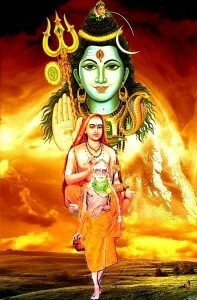 Pranam’s to the HOLY FEET.Let all of us be blessed with.GURUVEY SARANAM. Neeve Saranam Neeve Daivam !! !